CURTIS, Neb. - The road to college education in Curtis, Nebraska, is a two-way street. Often the travels made by a student to their farm, ranch or home residence involve a pickup truck. That is because we are a rural campus at the Nebraska College of Technical Agriculture, serving the needs of our NCTA Aggie students who are studying agriculture and veterinary technology programs. If students reside in Nebraska or surrounding states, they may be pulling a horse trailer in their travels to and from home, or to their jobs with livestock operations. Other times they are bringing feed supplies or hay to campus for their dog or horse (boarded off campus). 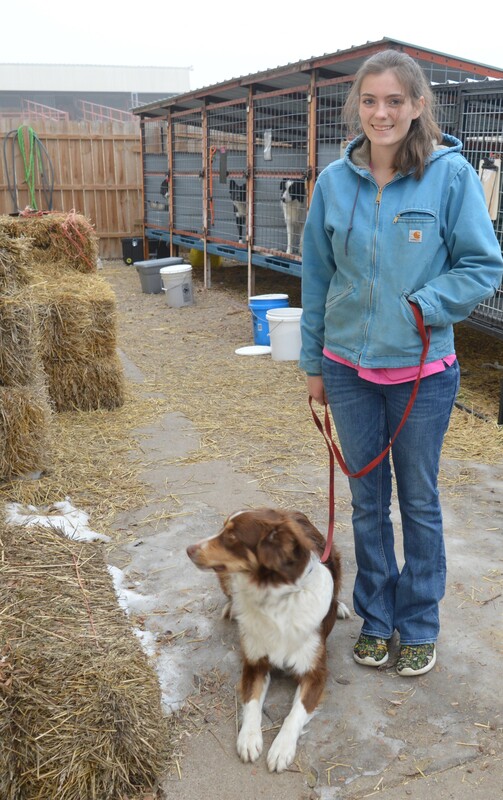 Thanks to the generosity of NCTA alumni Lacey and Jake Haskell of Kansas, the college now has a kennel at the Veterinary Technology complex where six student-owned dogs of the Aggie Stock Dog Team can board their dogs for a monthly rental. We are fortunate that on some weekends students are able to go home to their family operations and assist in the busy season of work, whether that be fall harvest, calving season, spring branding, or processing livestock for marketing or transport. I enjoy hearing from students as they talk about their work on their family operations. And, how what they are learning in our NCTA classroom programs and laboratories might be considered in the management decisions discussed with family. That tells me our experiential learning and hands-on programs at NCTA are doing the very thing we aim for at the campus. Students use applied skills and knowledge daily as they build their careers. In the next few weeks, you will continue seeing NCTA Aggies out and about as they interact with our community in their official capacities as NCTA students. This weekend, for example, the NCTA Crops Judging Team heads to Hutchinson, Kansas, for their first contest of 2019. Agronomy Professor Brad Ramsdale coaches the two teams comprised of sophomore and first-year students. As three-time national champions in their agronomic endeavors of plant identification, knowledge testing and more, these Aggie students will have their classroom and field training tested against their collegiate peers. Good luck and safe travels, Aggies! Also, this weekend, the NCTA Livestock Judging Team makes its second trip of the season to compete in livestock evaluation contests in Valentine and Des Moines. Eleven students, two student assistant coaches and Animal Science Professor Douglas Smith will attend the first-time judging event at the Heart City Bull Bash in Valentine. Then, they travel to the Iowa Beef Expo for a second contest of the weekend. Good luck to these Aggies as well! NCTA hosted another large FFA event at campus on Wednesday which drew more than 200 contestants from area high schools. The District 11 Career Development Skills Contest included competition in areas such as agriculture mechanics, agricultural communications, nursery and landscaping, veterinary science, biotechnology, agronomy and farm management. With each of these program areas a part of the NCTA curriculum, the campus facilities and resources are readily available in our partnership with State FFA and high school chapters. Welcome back to NCTA, students and advisors. We are glad you are the future leaders, entrepreneurs, communicators and producers for American agriculture. This weekend, stop by the NCTA Livestock Teaching Center indoor arena and observe the stock dog trials hosted by the NCTA Stock Dog Team and Outback Stock Dog Club. Action begins at 8 a.m.